Health Benefits of Cinnamon : Cinnamon has been used in a multitude of cultures due to its warm sweet taste, making it the hero of a large number of dishes. The antioxidant levels present in cinnamon ranks it in the number one position when compared to 26 medicinal herbs and spices in the world. 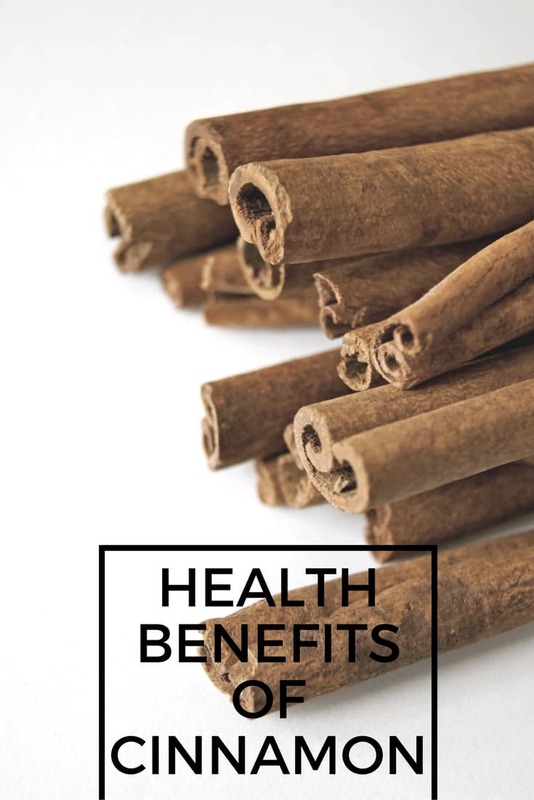 The health benefits of cinnamon are aplenty and are attributed to the bark of the Cinnamomum tree which contains several properties to boost overall health. The health benefits of cinnamon are as follows. Diabetes occurs when resistance to insulin occurs, this is when poor glycemic control is underway. This is ultimately tied to weight gain. What cinnamon does is helping to improve sensitivity to insulin which in return lowers the blood sugar levels. It also blocks enzymes called alanines, which is responsible for the absorption of glucose into the bloodstream. Therefore, the amount of glucose that enters the bloodstream after a meal is eventually reduced. Cinnamon also helps to combat heart diseases as it lowers the levels of cholesterol. Cinnamon has a variety of protective antioxidants which reduce free radical damage, thus slowing down the aging process. The health benefits of cinnamon are attributed to the presence of polyphenols, flavonoids and phenolic acid which are essentially antioxidants. These antioxidants are also found in berries, dark chocolate and red wine. They work to combat oxidative stress on the body. A multitude of symptoms are kept at bay by the antioxidants present in this wonder spice. Another health benefit to extract from cinnamon is its ability to protect against cell mutation, cancerous tumor growth and DNA damage-all thanks to the compound named cinnamaldehyde. It causes cancerous cells to self-destruct through a process called cell apoptosis. It also helps to improve the overall health of the colon, thereby reducing the possibility of colon cancer. A well-known fact is that HIV virus could lead to AIDS if left untreated as it slowly breaks down your immune system. Cinnamon can help to fight against HIV-1, especially the varieties extracted from Cassia such as Cinnamomum cassia and Cardiospermum helicavabum. They contain compounds that extracts against HIV-1 and HIV-2 respectively. Cinnamon protects against bad breath, tooth decays and cavities which is why it is a popular ingredient in toothpastes. The essential oil present in it acts in a similar manner to an antibacterial mouthwash. Cinnamon can also be used as a flavoring agent. Another health benefit that can be extracted from cinnamon is its protective antioxidant properties which can help ward off neurological disorders such as Alzheimer’s and Parkinson’s. Cinnamon helps to activate neuroprotective proteins which protect brain cells from mutation and damage. This reduces the negative effects of oxidative stress by preventing cells from going into self-destruction. It also contains anti-inflammatory compounds that reduce the effects of aging on both the brain and body. Apparently, several risk factors of heart diseases can be prevented by cinnamon. This includes high levels of cholesterol, triglycerides and blood pressure. The compounds present in cinnamon helps to reduce the LDL or also known as the bad cholesterol, while stabilizing the HDL or good cholesterol. Yet another health benefit of cinnamon is that it is a blood coagulant, thus helping to form blood clots which in return prevents bleeding. The overall blood circulation and the ability to repair body tissues are also enhanced by cinnamon. Cinnamon is rich in antioxidants which makes yet another health benefit of cinnamon available to us. The anti inflammatory effects are tied to the antioxidants which lower the risk of brain function decline, cancer and heart disease. Its flavonoid compounds on the other hand, are responsible for fending off inflammation which is why cinnamon can also be used to relieve muscle soreness. The active component present in cinnamon, cinnamaldehyde, effectively wards off infections. In fact, cinnamon oil is used to treat respiratory tract infections which are brought about by fungi. It can also help to stop the growth of Listeria and Salmonella, the bacteria found in the gastrointestinal tracts. As an antimicrobial agent, cinnamon helps to protect against tooth decay too. Candida overgrowth in the digestive tract can also be prevented by cinnamon due to the antifungal properties it possesses. Too much of sugar in the digestive tract results in an increase in the risk of candida. The extract or essential oil of cinnamon helps to reduce the levels of yeast and sugar in the digestive tract thereby reducing symptoms of candida. 1. Try Cinnamon Tea: Add a stick of cinnamon to your coffee or tea. Slow boil the cinnamon so as to extract the most out of it. 2. Add it to your dishes: Add a few sticks of cinnamon to your soups and curries not just to get a great flavor, but also all the aforementioned benefits. 3. Incorporate cinnamon in your baking: Cinnamon essence can be procured or made at home. Add this essence to your baking for that added flavor. 4. Cinnamon Syrup: This can be used on your pancakes as well as in cocktails and fruit salads. Also read: How To Use Lemon Peels? If you are one of those people who sidelines cinnamon sticks on their plates, then think again before you do so the next time. The multitude of health benefits that this wonder spice has to offer are twofold and should not be missed out on at any cost.